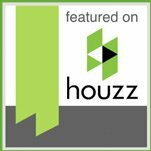 Decking your house this Christmas? Installing multiple lights around the house and yard without a proper outlet setup can cause electrical fires and short circuits. 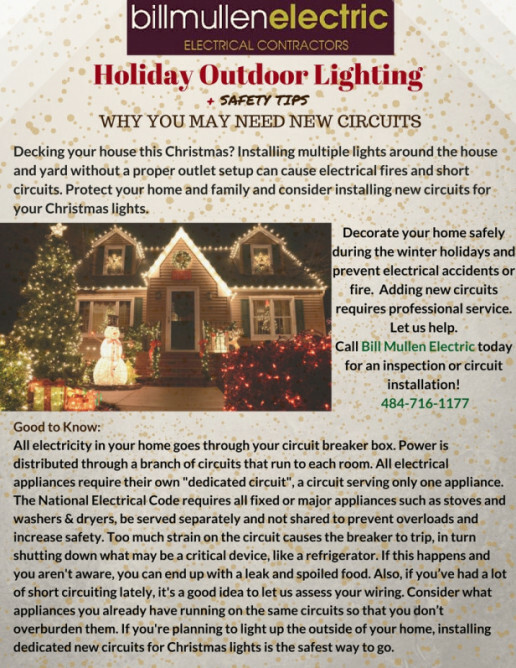 Protect your home and family and consider installing new circuits for your Christmas lights. All electricity in your home goes through your circuit breaker box. Power is distributed through a branch of circuits that run to each room. All electrical appliances require their own “dedicated circuit”, a circuit serving only one appliance. The National Electrical Code requires all fixed or major appliances such as stoves and washers & dryers, be served separately and not shared to prevent overloads and increase safety. Too much strain on the circuit causes the breaker to trip, in turn shutting down what may be a critical device, like a refrigerator. If this happens and you aren’t aware, you can end up with a leak and spoiled food. 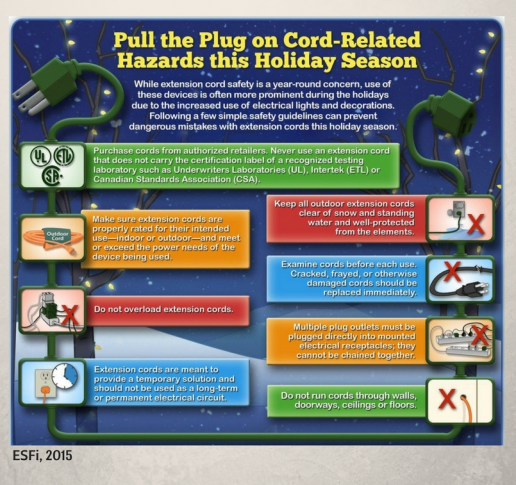 Also, if you’ve had a lot of short circuiting lately, it’s a good idea to let us assess your wiring. Consider what appliances you already have running on the same circuits so that you don’t overburden them. 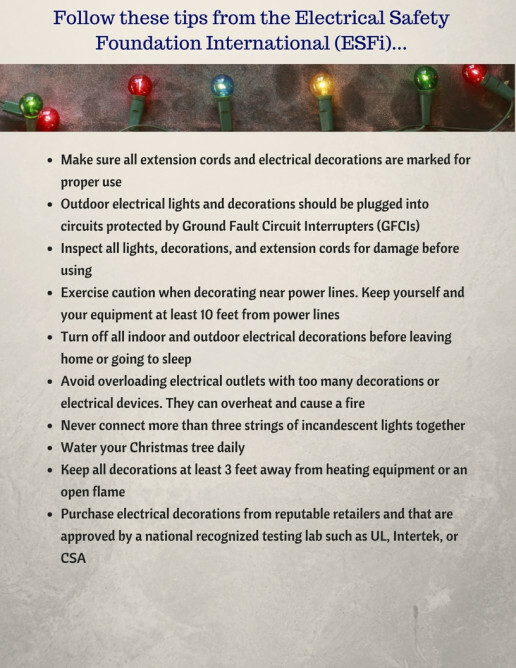 If you’re planning to light up the outside of your home, installing dedicated new circuits for Christmas lights is the safest way to go. 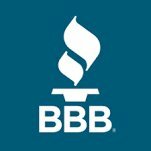 Contact us today for more information on any circuit installation or to schedule an estimate.